At Rebecca Armel DDS, Dr. Rebecca Armel and our entire San Francisco dentistry team are dedicated to providing the most thorough and advanced dentistry care available in the most relaxing environment possible. In addition to preventative dentistry examinations and cleanings, Dr. Rebecca Armel and the team at Rebecca Armel DDS offer a wide array of cosmetic and restorative dentistry solutions. From smile makeover treatments such as porcelain veneers, teeth whitening, and cosmetic bonding, to smile restoration treatments such as root canals, dental crowns, and even dentures, our patients have the full range of dentistry treatments at their disposal. Great oral health begins with regular dental examinations and cleanings. Dr. Rebecca Armel and the Rebecca Armel DDS team of dental assistants and hygienists provided personalized routine dental examinations. During their twice-yearly check-up, patients in our San Francisco-area practice receive a thorough examination of their teeth, gums, tongue, jaw, and neck. If necessary, Dr. Armel may recommend X-rays, an oral cancer screening, or a periodontal (gum) inspection. After the comprehensive examination, one of our professional and knowledgeable dental hygienists will perform a thorough cleaning and polishing. Call us today at (415) 421-0317 to schedule your appointment. Preventing cavities and promoting good oral hygiene should start early on in life. Taking great care of your child's teeth now sets them up for great oral health in the future. Dr. Rebecca Armel and the staff at Rebecca Armel DDS are experienced in pediatric dentistry. Babies and children have specific dental needs and our professional staff is trained to provide the care they need. Contact us at (415) 421-0317 to make an appointment for your child today. It's never too early to have great oral health. Smile, it's a great thing to do! With the advanced techniques in cosmetic dentistry that are offered at Rebecca Armel DDS, we are sure to give you something to smile about. Our San Francisco team has helped many of our patients correct gaps, chips, stains and missing teeth with cosmetic procedures and treatments. Dr. Rebecca Armel will be happy to outline your personalized cosmetic dentistry treatment plan and explain all your options. Take the first step towards enhancing your smile and schedule your cosmetic dentistry exam today at (415) 421-0317. Sedation dentistry allows Dr. Rebecca Armel to dramatically reduce your dental anxiety and even perform multiple procedures in one visit. 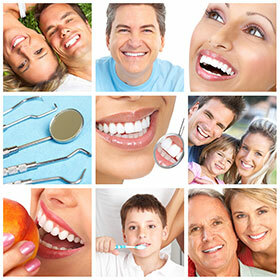 Sedation dentistry allows you to feel relaxed and comfortable and helps to eliminate any unpleasant feelings. For example, many of our San Francisco sedation dentistry patients report that they have no memory of the sounds and smells of the dental procedures performed during their appointment. With sedation dentistry there really is no need to be scared of going to the dentist. Contact us today at (415) 421-0317 to explore the benefits of how sedation dentistry can easily help you achieve your dental health objectives. Invisalign is a great option for patients looking to straighten their teeth without visible metal braces. Invisalign is a gradual method of straightening the teeth using a series of custom-made aligners provided by Dr. Rebecca Armel. Dr. Armel is experienced in Invisalign and will determine what is the best method to straighten your teeth. Contact us at (415) 421-0317 to make an appointment and we'll be happy to explain the benefits of Invisalign and to determine whether Invisalign is the best form of straightening teeth for you.